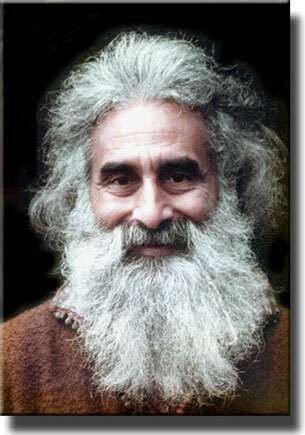 Pir Vilayat Khan was the spiritual leader for the Sufi Order of the West. Sufism originated in the 9th century as an ascetic movement within Suni Islam and its message of ‘Love, Harmony and Beauty’ found a ready audience during the spiritual awakening among western youth in the 1960’s. He was born in London as his father Hazrat Inayat Khan had left India in 1910 and established the Sufi Order in London in 1916. During the Second World War Pir Vilayat Khan served in the Airforce and the British Navy while his sister Noor served in occupied France as a radio operator and was a vital link between the British War Office and the French Resistance. She was the last radio operator left on the continent during the critical days before the D-Day landings in June 1944 but was betrayed and taken to Dachau concentration camp where she died. This had a profound effect on Vilayat. He studied many different religions and this brought him to a universal approach to spiritual development. During his retreats and courses he drew upon the ancient stream of this wisdom and gradually became active in the multi-faith movement, bringing leaders from different religions together to explore unity and mutual interests.